Since 2012 BAS Trucks participates in the biggest rally in the world: Le Dakar. Our BAS Dakar Team consists of some enthusiastic motocross riders and mechanics. 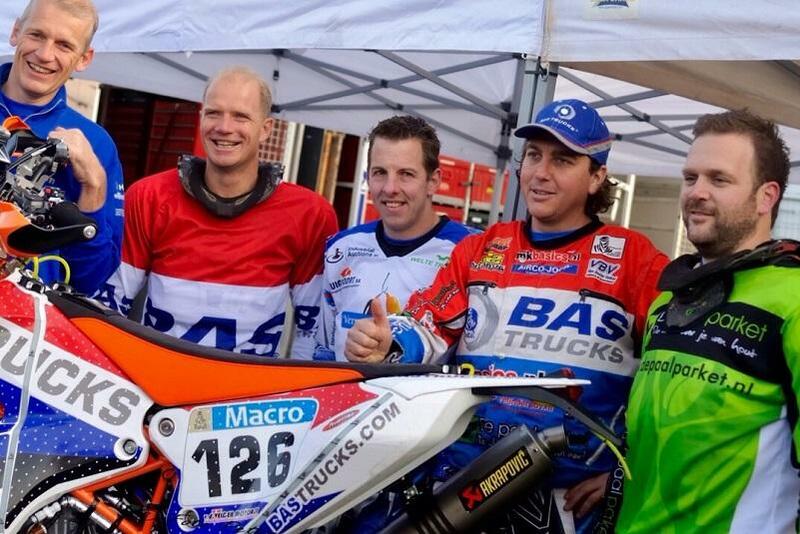 The participants of Dakar 2015 are Caspar van Heertum, Sjors van Heertum, Caspar Schellekens, Bastiaan Nijen Twilhaar and Jan van Gerven. Le Dakar 2015 will take place in South America from the 4th to the 17th of January. They will start and finish in Buenos Aires, Argentina. The route of 9.295 kilometers runs not only through Argentina, but also through Chile and Bolivia. Every day the setting and the pace will change so the rally will be a big challenge for our BAS Dakar Team! Do you want to stay up-to-date with the latest news about our BAS Dakar team?